Google Forms is a great free service for us in education. It is part of the free tools Google Docs offers to its users. Google Forms has a huge potentail for classroom teaching and teachers can do a myriad of tasks with it. As an example, instead of going looking for quiz forms others have created and that might not suit your teaching purposes why not learn how to create your own forms. Testing forms is just an example and of course there are many other things you can do with forms. This short-but-powerful article by Scott McLeod appeared recently on a site called Dangerously Irrelevant. These are the kinds of questions we should be asking ourselves as we continue steering education forward through the unchartered waters of the age of InfoWhelm. We appear on the brink of yet another nation-state baby boom. This time, the new countries will not be the product of a single political change or conflict, as was the post-Soviet proliferation, nor will they be confined to a specific region. If anything, they are linked by a single, undeniable fact: history chews up borders with the same purposeless determination that geology does, as seaside villas slide off eroding coastal cliffs. Here is a map of what could possibly be the world’s newest international borders. Here is a list of high schools worth visiting. Are you an education innovator? Find out with this checklist from Suzie Boss featured in the following Edutopia article. Boss stresses that all kinds of innovators share many commonalities in mindset and personal abilities and talents, and the same is true for those in the field of education. Edmodo has created a Digital Citizenship Starter Kit. This introduction provides a one-page overview, poster, and getting started lesson. Please go to the Collection area for the full kit – including activities/lessons for Elementary, Middle, and High. Mason, MI. September 18, 2012 – As the leader in 1:1 technology implementation research, Project RED has made a commitment to bring its research practices to action. As part of this commitment, the organization has selected 10 districts to become Project RED Signature Districts. Through a competitive application process, these districts were chosen to receive support and guidance for 1:1 education technology implementations. During the 2012-2013 school year, Project RED will offer the Signature Districts customized guidance and collaboration opportunities to learn from each other. Project RED will review each Signature District’s technology implementation plan and help the districts to align their plans to the research-based strategies of the Project RED Design™, a blueprint for implementing technology-based school reform. Districts will then publish findings to the Signature District community for a period of three years and will become best-practice models for other districts. The results of the Signature District efforts will be promulgated widely so that other districts may take advantage of the practical research resulting from this unique partnership. In addition, 10 more districts will be selected for this prestigious program. Applications are still being accepted at www.projectred.org. In 2010, Project RED conducted a survey of technology programs in 1,000 U.S. schools, which is the first and only national research focusing on academic results and the financial implication of education technology. The research shows that, if effectively implemented, technology programs can lead to improved student achievement and significant return on investment. Based on those findings, Project RED has created a replicable design for school districts to make the best possible use of technology in a learning environment, leading to improved student achievement and significant return on investment. Project RED offers a variety of ways districts can benefit from its research, including in-person Institutes held this year November 15-16, 2012 in Auburn, Alabama and December 3-4, 2012 in River Edge, New Jersey, in addition to a series of 10 implementation webinars, online tools and resources, and its Signature District program. Learn more at www.ProjectRED.org. Most of these resources are offered at low or no cost to educators because of sponsor support. Intel Corporation is the founding sponsor of Project RED. Lead sponsors for 2012-2013 are Hewlett-Packard and Intel. Additional sponsors include SMART Technologies and the Pearson Foundation. Intel is a world leader in computing innovation and the lead sponsor of Project RED. The company designs and builds the essential technologies that serve as the foundation for the world’s computing devices. Additional information about Intel is available at newsroom.intel.com and blogs.intel.com. The Pearson Foundation is an independent, nonprofit organization that aims to make a difference by promoting literacy, learning and great teaching. The Pearson Foundation collaborates with leading businesses, nonprofits and education experts to share good practice; foster innovation; and find workable solutions to the educational disadvantages facing young people and adults across the globe. More information on the Pearson Foundation can be found at http://www.pearsonfoundation.org. Google Forms can be used for gathering all types of data. Did you know that you can use Forms to create a self-grading quiz? This brief tutorial will walk you through using formulas to create your own self-grading assessments. 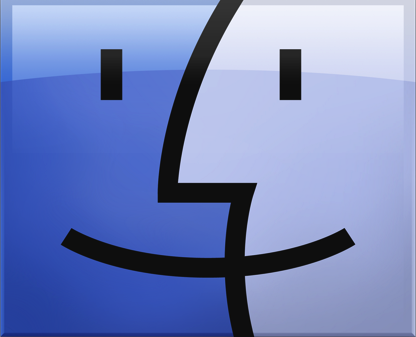 Your Apple laptop has a built-in, easy way to share documents and files with other Macbooks. Using Airdrop, you can drag and drop files to another user in your vicinity. Refer to the document below for a step-by-step guide. Study Island is a resource used in grades 3 – 12 for standards-based assessments, test preparation, and instruction. This fall, teachers have the option to enable text-to-speech for students in the benchmarks exams as well as study material. This five minute tutorial will show you how.